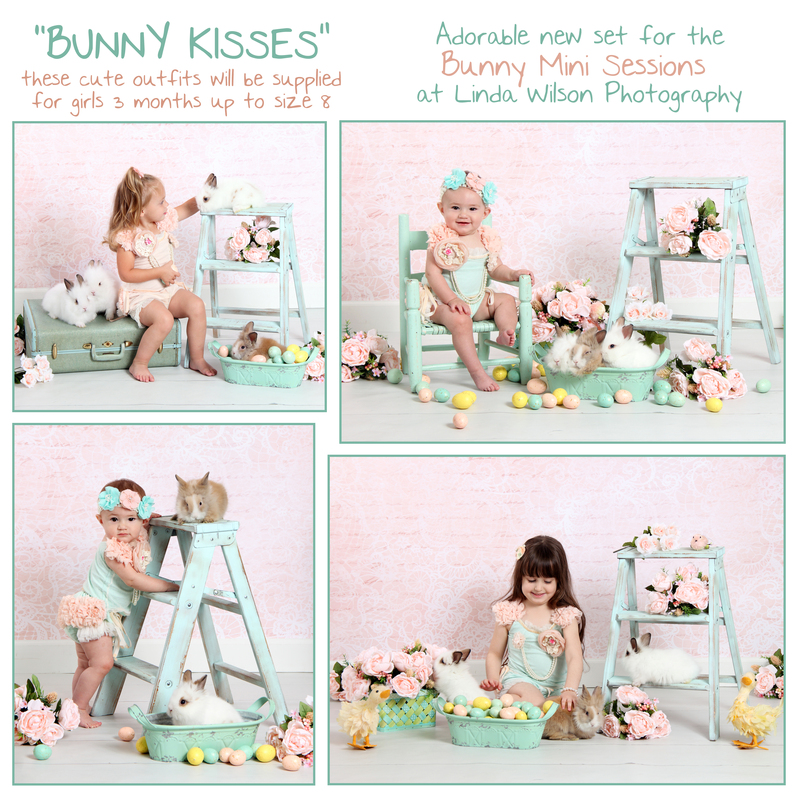 I have so many exciting things going on in March with Linda Wilson Photography, including being a vendor again at Boutique for a week, Bunny Mini Sessions, and the new & exciting “Adorable” Contest! 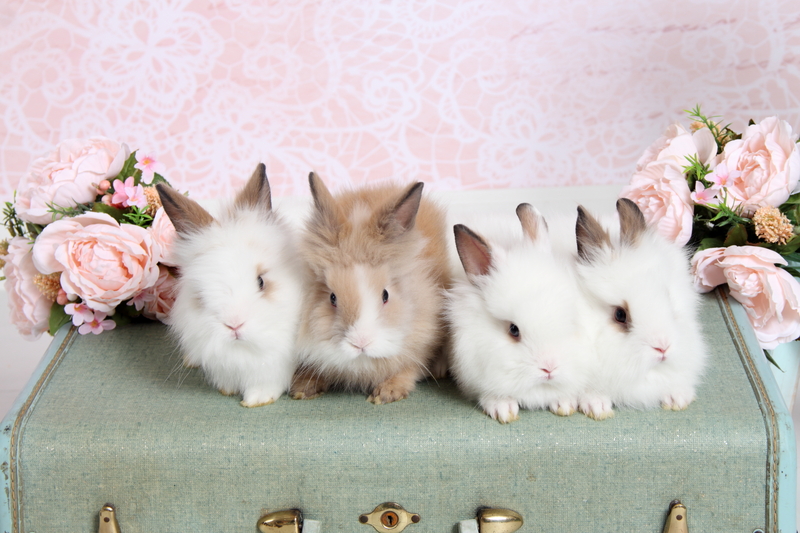 Now let’s talk about Bunnies! 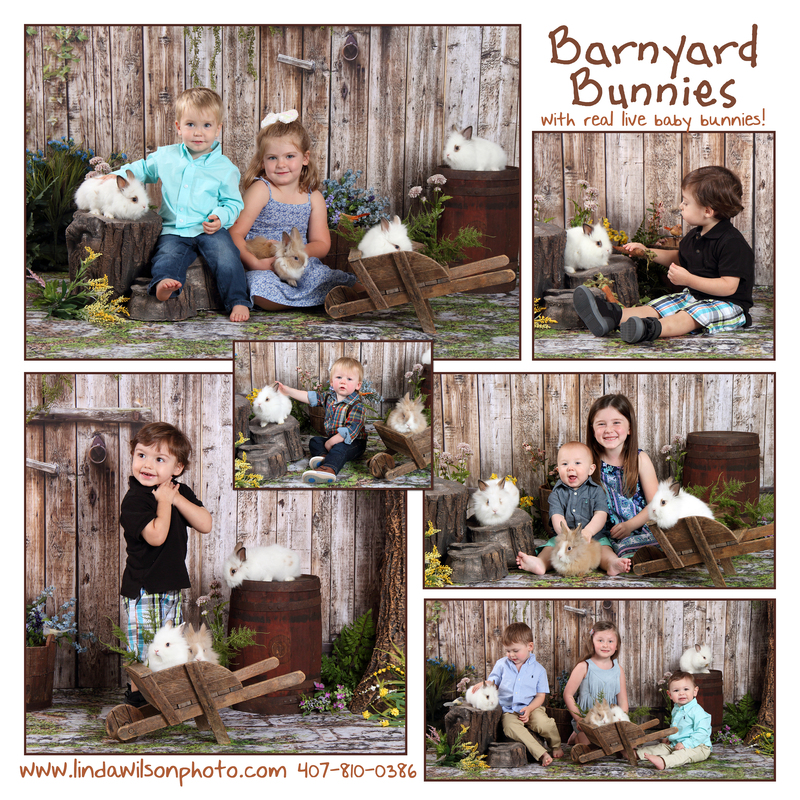 My favorite mini session (and most popular) of all! 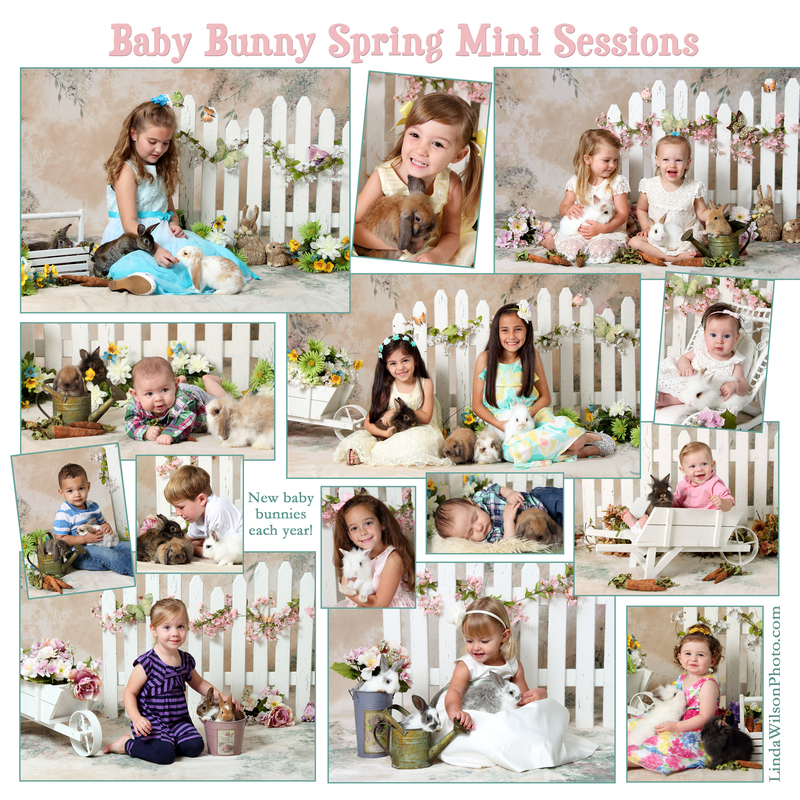 The Bunny Mini Sessions will be 2 days only: Friday & Saturday, March 13th & 14th, by appointment only. 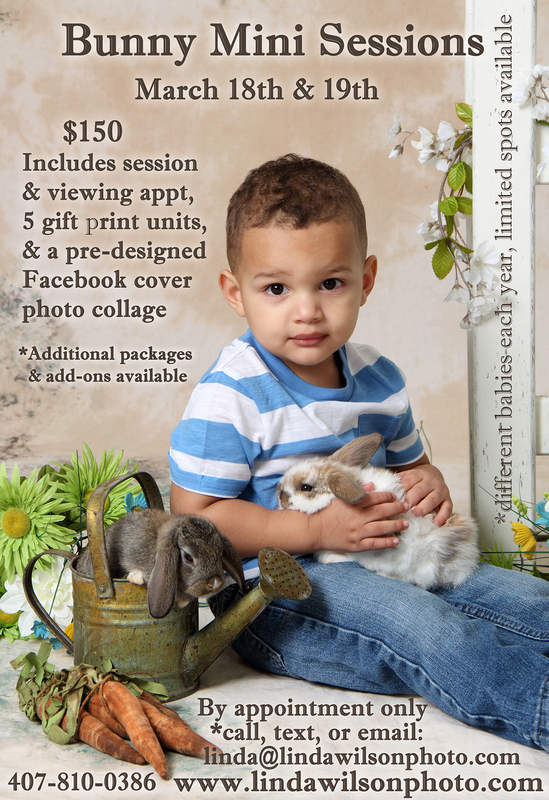 The cost is $150 (plus tax), which includes a 20 minute studio session for your child(ren) with live baby bunnies in a cute spring setup, 30 min. viewing immediately following session, 5 Gift print units of up to 5 different poses (a unit is choice of 1 8×10, or 2-5x7s, or 8 wallets of same pose), a “sticky album” digital app, as well as a Facebook timeline cover. Additional prints and products will be available for purchase at time of viewing. 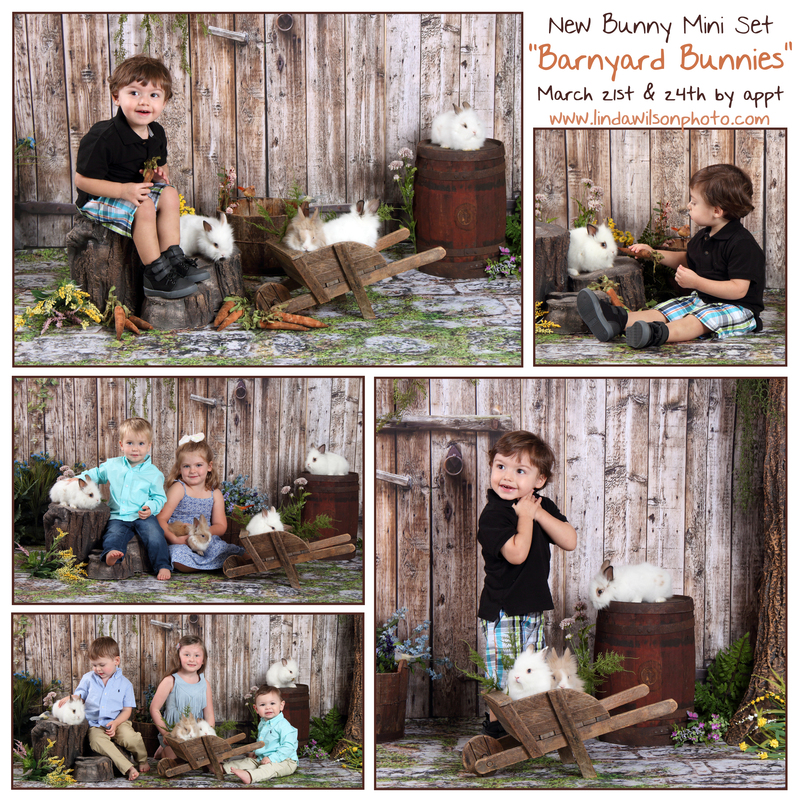 Please be advised, these are live animals, and I can’t be held responsible if the bunnies decide to go potty while with your children. 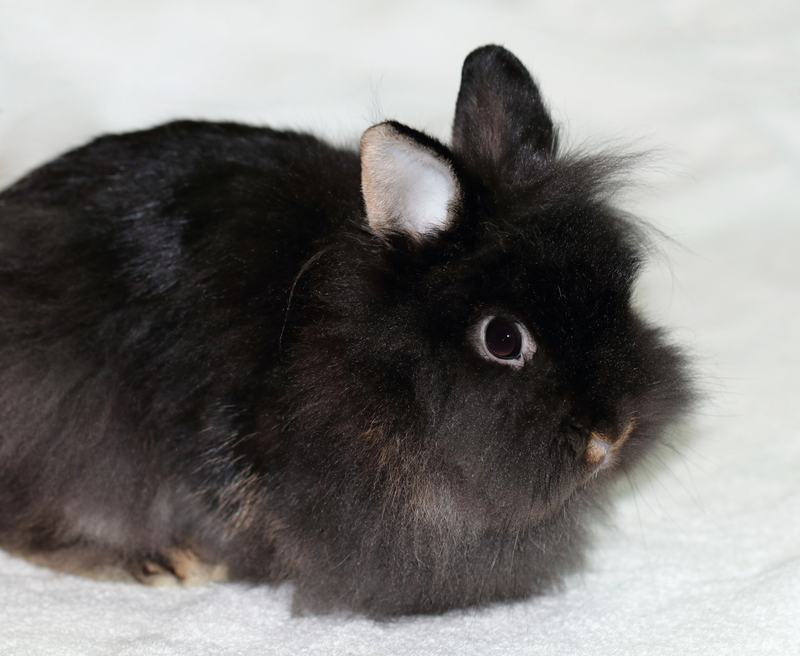 Also while feeding carrots, they might “nibble” a finger on accident, and they do have nails and might jump and scratch a bit. 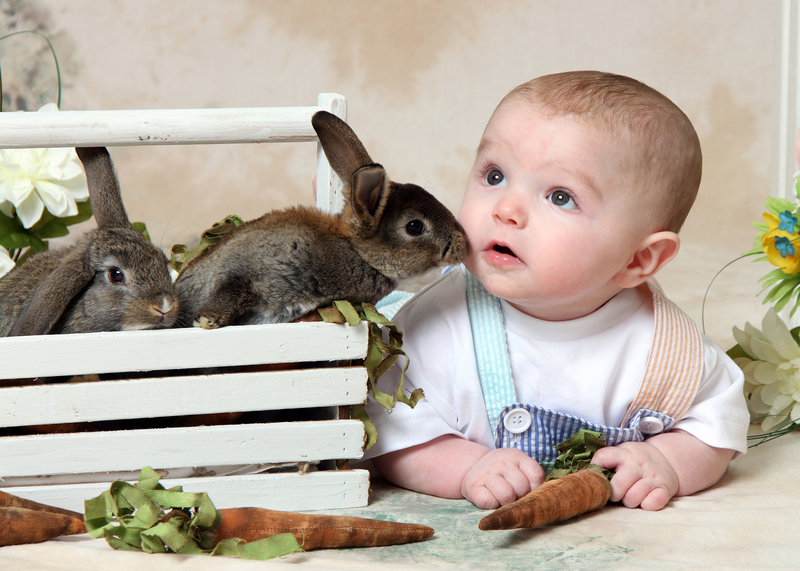 From my past experience, baby bunnies are very gentle, but I just wanted to warn about the possibilities. 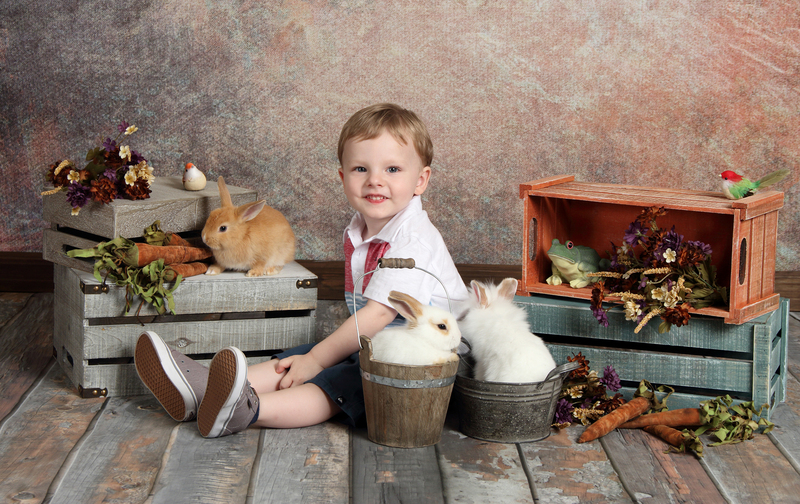 *Also note it’ll be different bunnies this year. The setup is spring pastel colors, so I would avoid bright, bold colors such as red. I recommend lighter colors, such as cream, pink, light blue, lavender, yellow, mint or pale green, beige, etc. 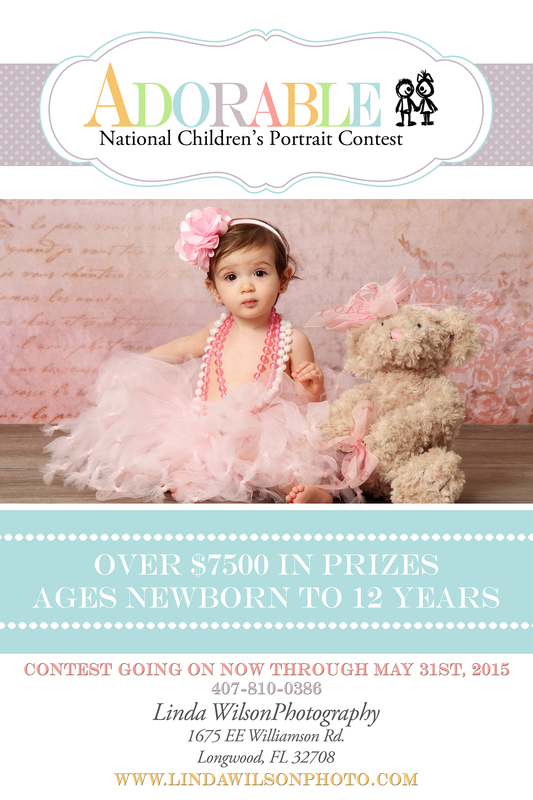 The minis are 2 days only, and spots will fill up fast! So please contact me soon to schedule your appt. time. 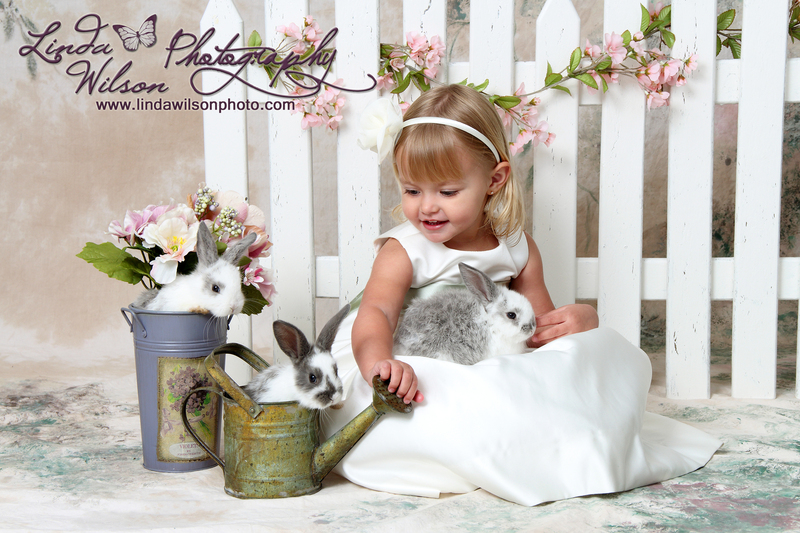 Then click this link to pay for session and hold your spot: http://lindawilsonphoto.com/store/services/services/bunny-mini-session *Please email me at linda@lindawilsonphoto.com to schedule your time first, and then put the appointment time in the notes section at checkout. Thank you! 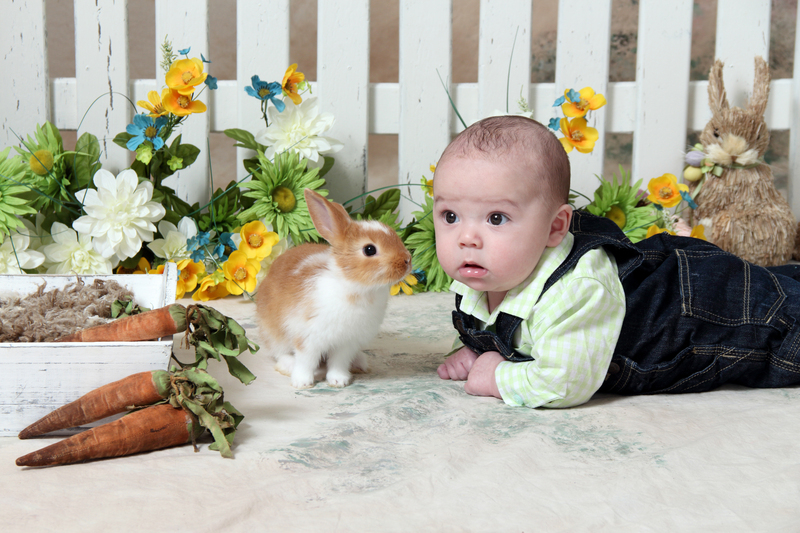 Still have openings for the live baby bunnies mini sessions this Friday and Saturday! April 4th and 5th, by appointment only. 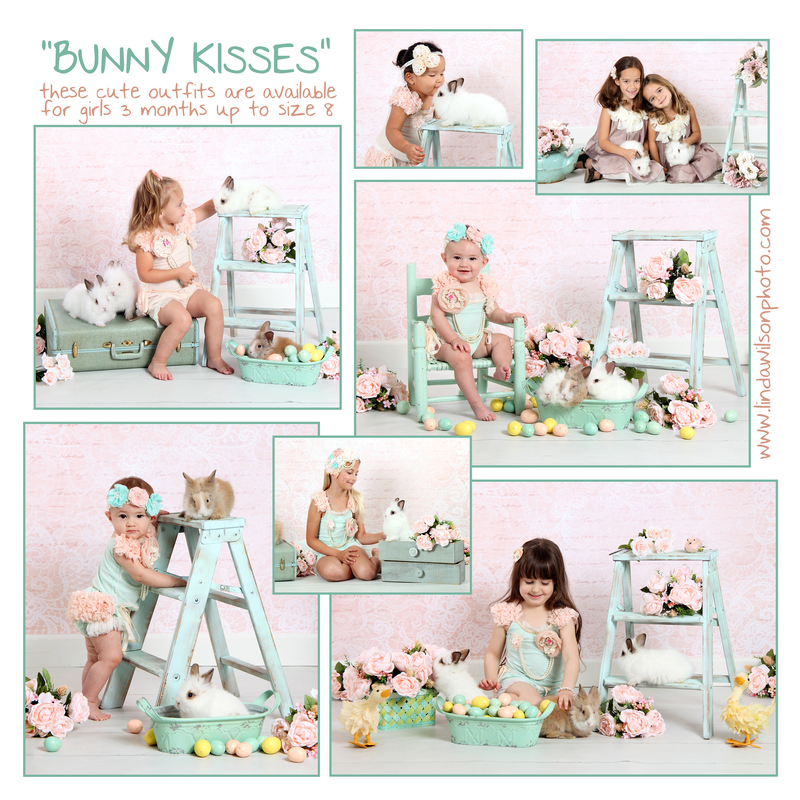 $125 for the mini session, 5 high resolution enhanced digital files, and a facebook timeline photo collage like the one pictured above, using some of your child’s images. 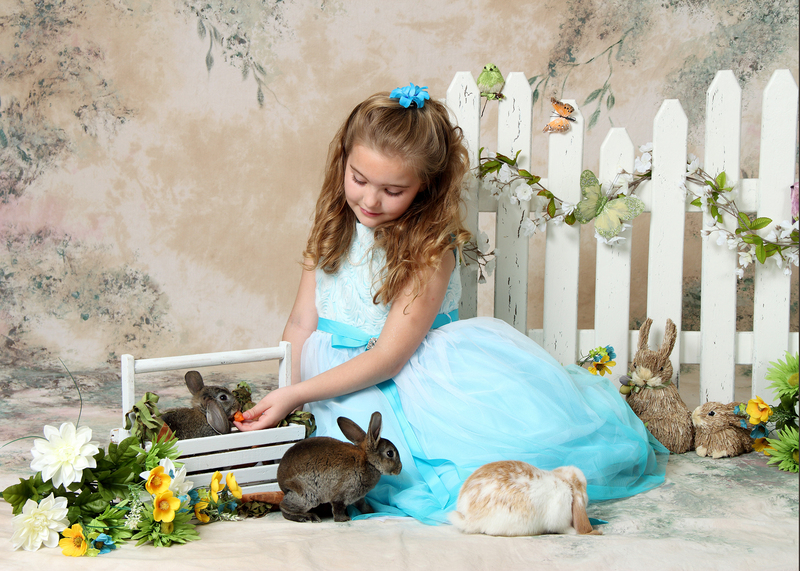 Additional photos and products available for purchase, too. I prefer checks or cash at this time. 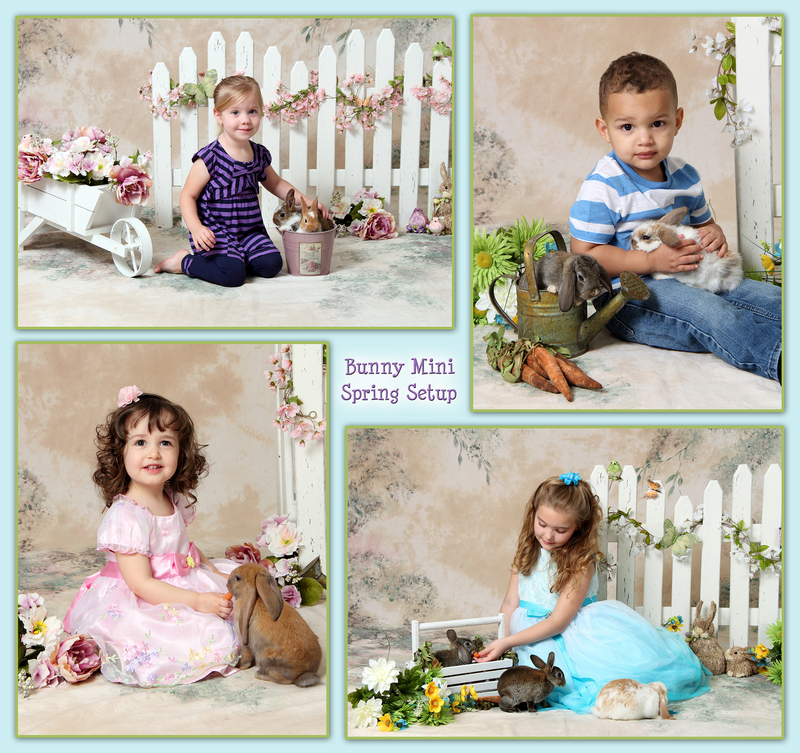 Contact me asap to schedule your child(ren)’s portrait session with these 3 adorable little babies! 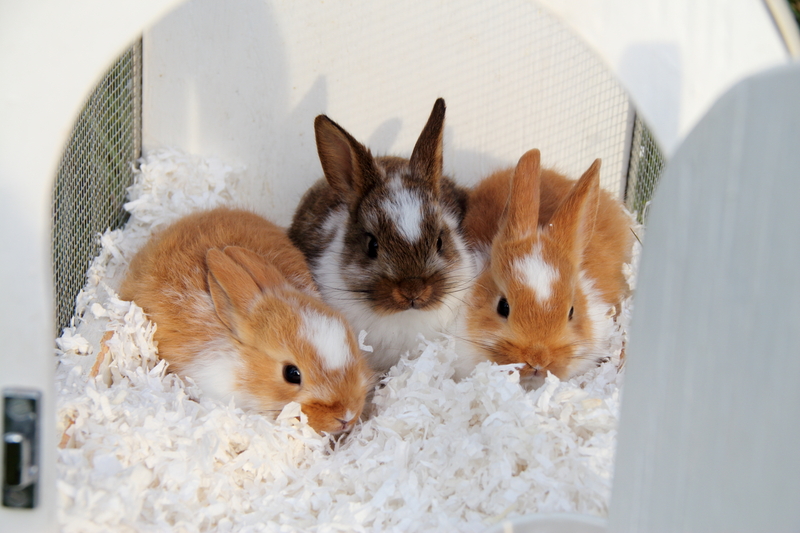 These are the baby bunnies for this year. 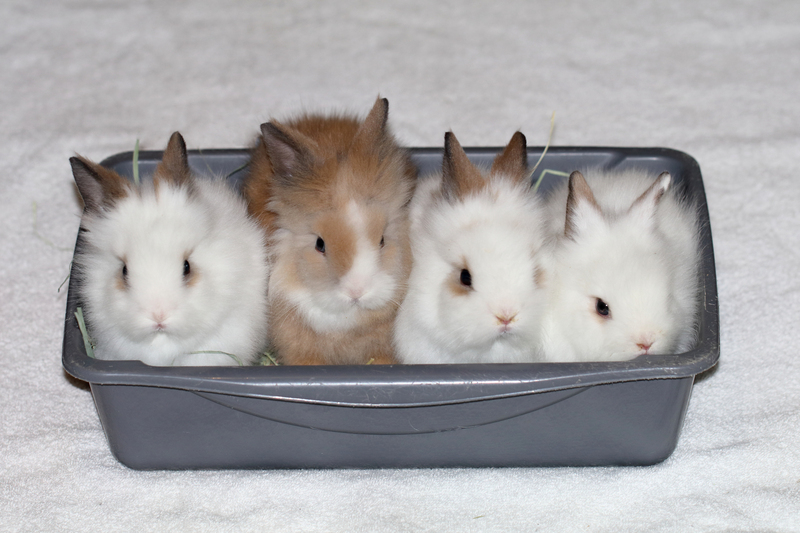 They are so little and cute! 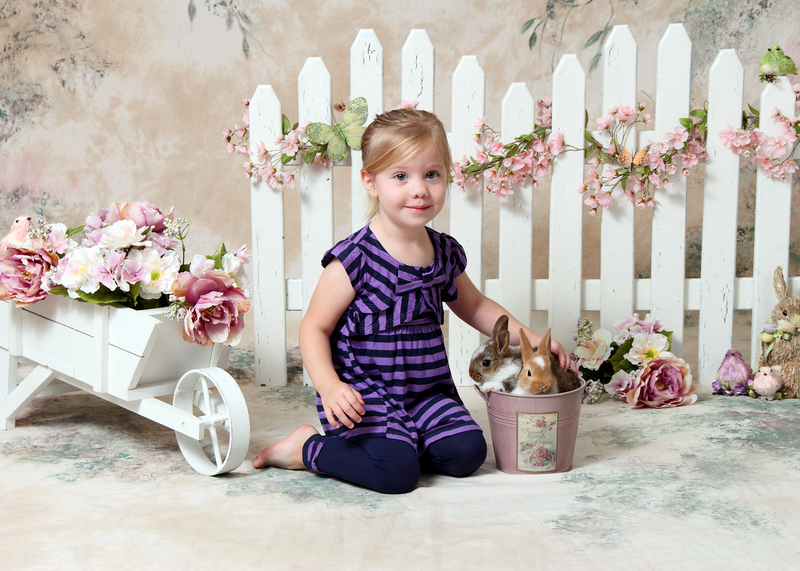 This is the beautiful spring setup, along with other props to use, too! 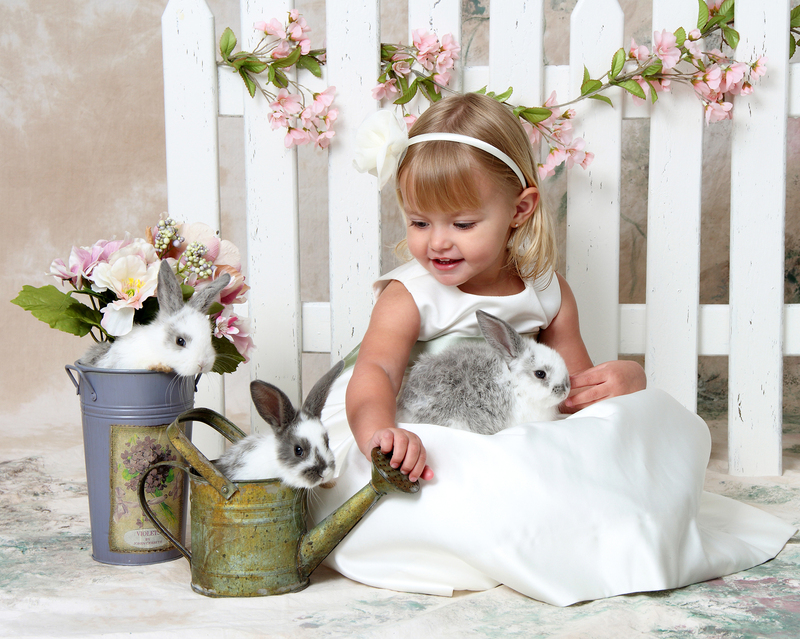 Children can wear a fancy Easter outfit, or come casual. Either will look great with this garden setup. I may decide to have an alternative setup as well.